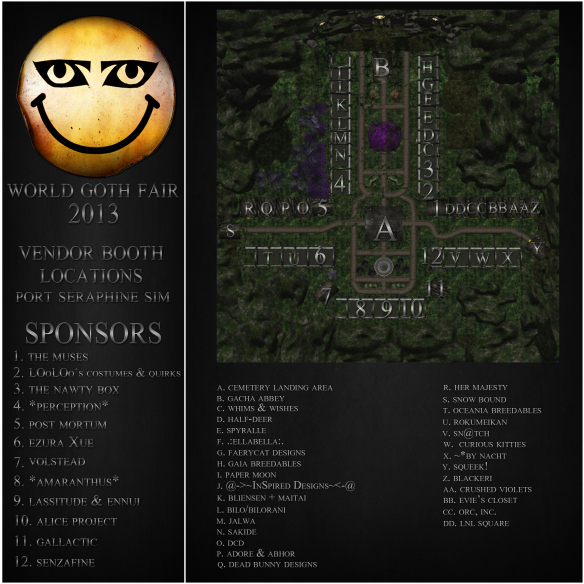 World Goth Fair runs from the 15th till 31st may and benefits the „Sophie Lancaster Foundation“. Usually I visit the sims and post some impressions of them, ‚cause of vacations a the reason, that the fair is running since 2 days, I would like to refer you to articles from other bloggers. 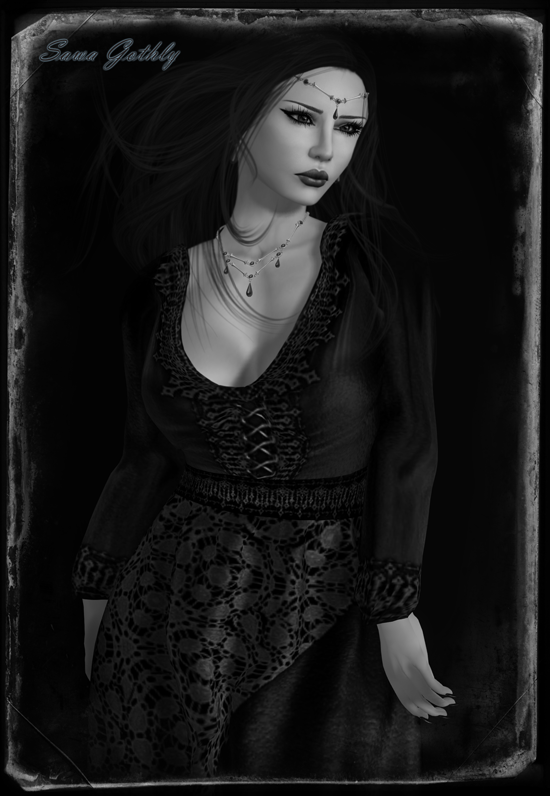 I’m wearing the „Mourning“ gown from the muses with the „Macabre“ jewelry set from lassitude & ennui. 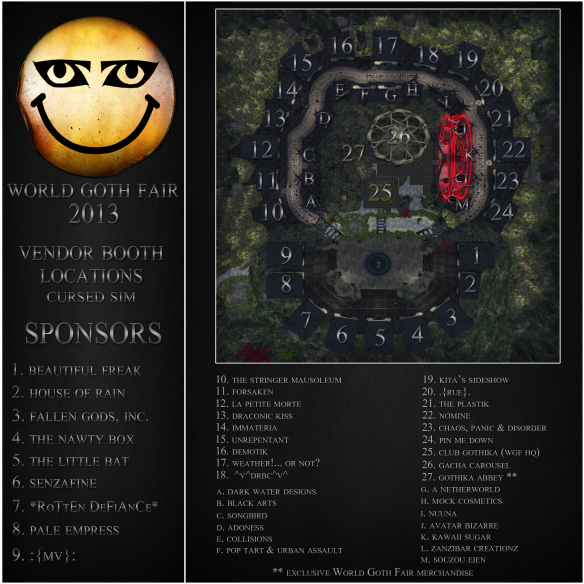 Dieser Beitrag wurde unter bloggies from Sawa, Fairs, I Heart SL, Mesh, NEW, Reviews abgelegt und mit [PXL], Everglow, lassitude & ennui, LeLutka, SLink, Sophie Lancaster Foundation, The Muses verschlagwortet. Setze ein Lesezeichen auf den Permalink.